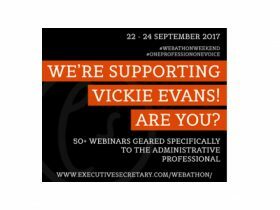 A two day webathon especially for PAs and EAs to raise funds for Vickie Sokol Evans in her battle with cancer. 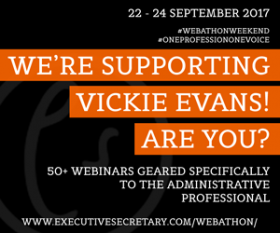 A whole series of 45 minute webinars covering a very wide range of topics from presentation skills to taking control of your inbox. Click here for more information.